Saoirse Ronan dreaded working with the horse she rode in 'Mary Queen of Scots'. 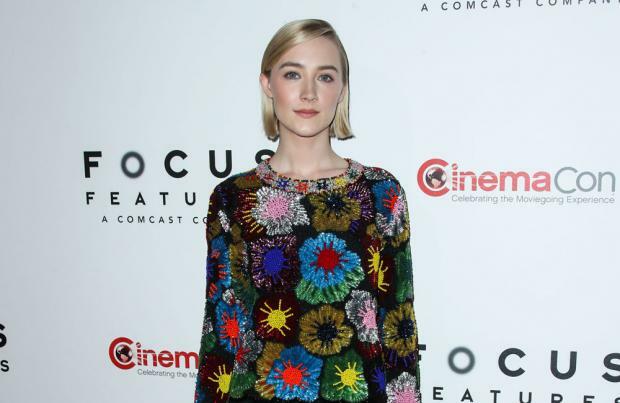 The 24-year-old actress has revealed she struggled with the horse that appears in the Josie Rourke-directed drama film – in which she portrays Mary Stuart – because he was un-cooperative and used to get nervous on set. The 'Ladybird' star said on 'The Graham Norton Show': "The horse I had to ride had starred with Wonder Woman and was very good looking and he knew it. "He just wouldn't do anything, he wouldn't move. Then I realised that every time someone shouted 'rolling' he would do a little cough. He was actually nervous!" Saoirse also revealed that she and co-star Margot Robbie – who portrays Queen Elizabeth I – were both in tears when they saw each other for the first time in costume on the film. The actress was shocked when she first saw Margot, 28, transformed with a chalk-white face and red wig for the first time. Saoirse shared: "We had been kept apart and we didn't know what the other one looked like. "Especially seeing Margot as Margot and then seeing her with an extremely white face and the nose and the whole thing it was so extreme. "They shot our close-ups simultaneously and everything that we were doing was for the benefit of the film." Margot also revealed that she and her co-star never saw each other on set until the cameras were rolling. She recalled: "We never saw each other in character until that moment when the cameras were rolling and Saoirse pulls down the last sheet between us."